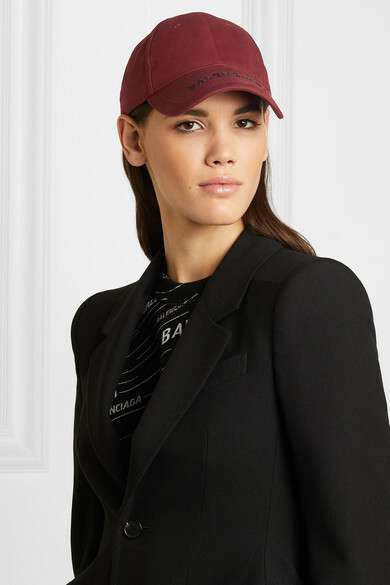 If you're a fan of the minimal logo brought to Balenciaga by Demna Gvasalia, this cap is an easy way to incorporate it into so many outfits. 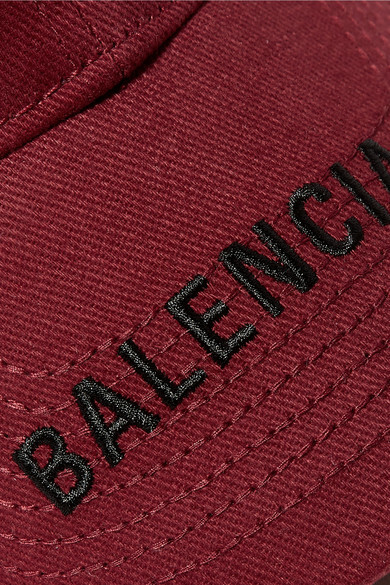 It's been made in Italy from burgundy cotton-twill and embroidered with the moniker in black. 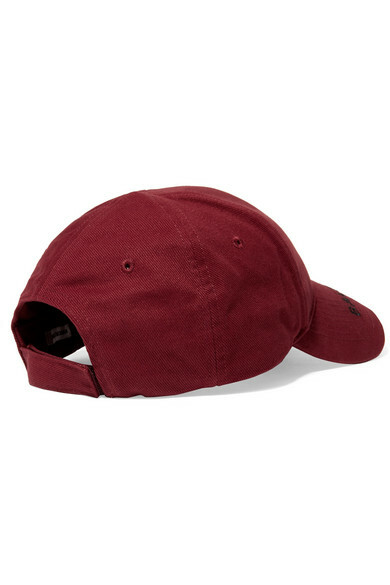 Use it to keep your hair in place on windy days. Shown here with: Balenciaga Sweater, Balenciaga Blazer, Balenciaga Jeans, Balenciaga Tote, Balenciaga Mules.